﻿ Kara Beachside Guesthouse, Da Nang | FROM $7 - SAVE ON AGODA! "Really great spot one block from the beach." Have a question for Kara Beachside Guesthouse? "The hotel is nice and comfortable." "Reasonably close to An Thuong area and Lotte Mart." "Near great restaurants and local eateries and cafes." Renovated in 2013, the Kara Beachside Guesthouse guarantees guests a pleasant stay whether in Da Nang for business or pleasure. Only 16.9 km away, this 1-star hotel can be easily accessed from the airport. With its convenient location, the hotel offers easy access to the city's must-see destinations. At Kara Beachside Guesthouse, every effort is made to make guests feel comfortable. To do so, the hotel provides the best in services and amenities. 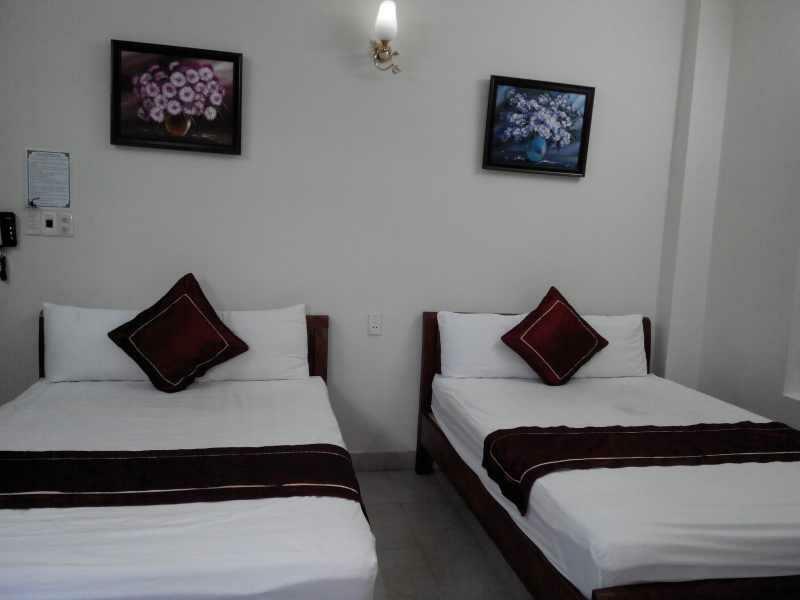 24-hour room service, free Wi-Fi in all rooms, 24-hour front desk, Wi-Fi in public areas, room service are just a few of the facilities that set Kara Beachside Guesthouse apart from other hotels in the city. Step into one of 20 inviting rooms and escape the stresses of the day with a wide range of amenities such as television LCD/plasma screen, internet access – wireless, internet access – wireless (complimentary), non smoking rooms, air conditioning which can be found in some rooms. Besides, the hotel's host of recreational offerings ensures you have plenty to do during your stay. 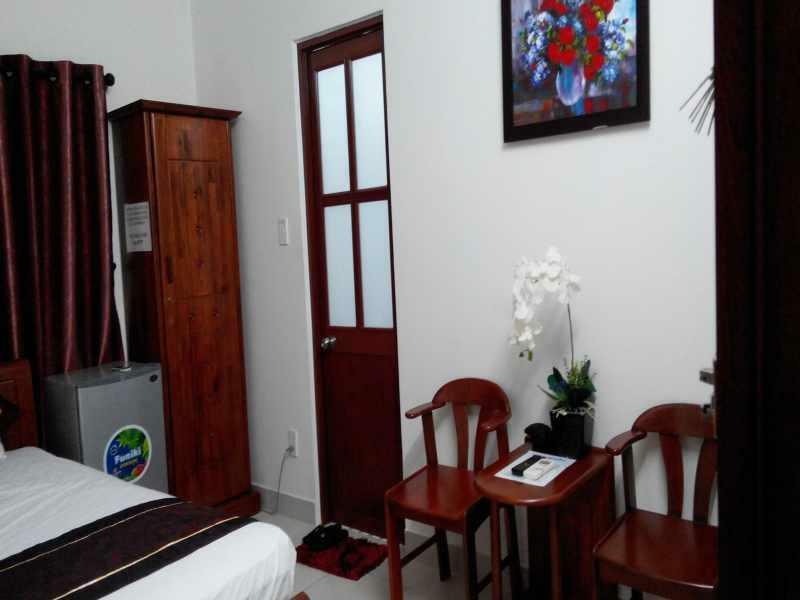 Kara Beachside Guesthouse is an ideal place of stay for travelers seeking charm, comfort and convenience in Da Nang. "The rooms are clean and complete with flat screen TV with ca..."
The location of the hotel was great. 5 minute walk to the beach and 10 minutes to some good resturants. The room was not super clean. Garbage under the bed and gum behind the headboard. The blanket was tiny (not enough for 2 people at all). The staff were ok but not very helpful. The washroom smelled like cheese and the walls were very thin. All in all it the only good thing is the location. Great staff, nice place, not so bad location and was clean enough but room I stayed in had a small ant problem that could be fixed to make the place much better. Although not on the beach, but within 5 minutes walk. Doesn't look impressive but room was pretty good, has all that one wants. We booked this hostel based on its reviews on agoda and booking.com, but was disappointed. The staff were not very helpful, motorbike rentals were expensive compared to other places, and the shower didn't have hot water. We had a trail of ants in our room and the bed was very hard. 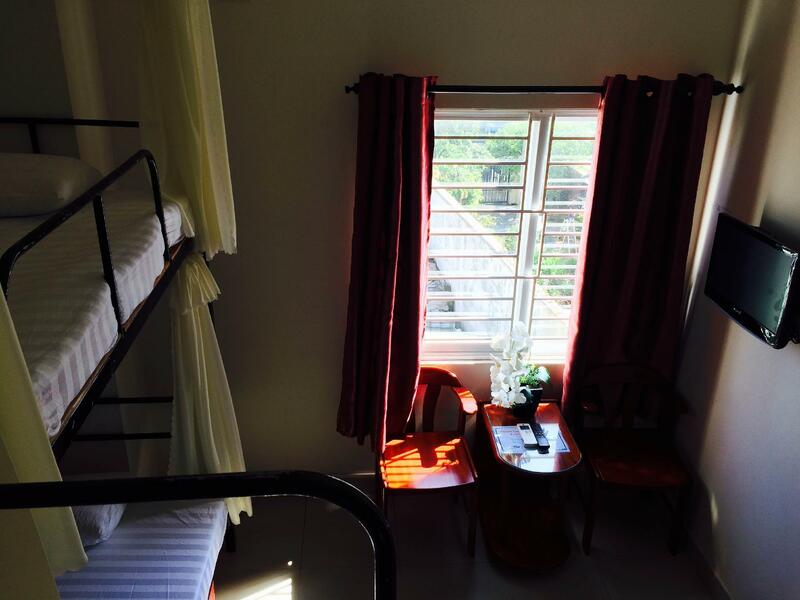 There are other hostels around the area, with far better facilities and staff with comparable prices. The rooms are clean and complete with flat screen TV with cable, WiFI, hot water kettle, hair dryer. I think it is great value for the price I paid. Close to the public beach (about 10 minutes walk). Near great restaurants and local eateries and cafes. Reasonably close to An Thuong area and Lotte Mart. Pros - It was only a 5 min walk to Da Nang beach and there were a number of restaurants close by which offered quite a bit of variety. The staff at Reception were friendly and helpful. Wifi was good. Cons - The room was fairly small (even for VN standards) so only good if not spending too much time in the room. DO NOT STAY HERE!! Every morning we woke up with hundreds of tiny bites that were not mosquito bites. We are assuming bed bugs.. we had to ask for towels and there was a Condon rapper in the cupboard. Gross. The hotel is nice and comfortable. And it is close to the beach and lots of food options. The only problem is it is right next to a cabinetmaker shop which starts work early in the morning. So if you are an early riser, you will be fine. However, if you want to sleep past 8 am, the sawing and grinding will be hard to sleep through. Really great spot one block from the beach. It's located on a little side alley just off the street of the address. I will stay here again when in Da Nang. It is a simple hotel, but has hot shower, strong wifi, AC, English tv channels... Not all staff speak English, but they call an English speaker, so problem solved. It is located very close to the beach but fairly out of the city. However, you can rent motorbikes or mopeds, so problem solved. Also, you can always get recommendations on where to go (at least as far as Hoi An, My Son, or the Hai Van Pass) what to see, where to eat. My only issue was the paper thin walls, so you either hope for quiet neighbours, or ask the staff. They took care of the noise problem for me. I would come back any time. In fact I stayed 2 extra nights: instead of staying in Hoi An, I rented a bike and stayed longer. The hotel was nice enough. Basic, clean, with an okay breakfast. It was very close to the end of the beach where nobody was but very far from the city! We had to get a taxi there and back. Staff were friendly enough. Breakfast was okay. Room was small but nice. For the price, it was good. Very cheap, basic, clean room. Loved our stay at Kara beachside! It was so close to the beach and to many restaurants. The AC worked great and the room was clean. Couldn't of asked for a better place, and for so cheap too! Worth it! We choose this hotel so we could stay closer to the famous China Beach. The place is a little trick to find, but once you found it is easy to go around, specially in a bike or bicycle. The breakfast is great, with 4 or 5 different options to choose from. The price is great for a private room. The room was well furnished and we got a big window room, so the daylight is great. The WiFi was pretty solid, an awesome touch. However, there were several stains on our bedsheet and the sink drain was pretty clogged. There was also a musty smell coming from the bedding and room. The staff were nice and helpful with pointing out where we needed to go around the area. Although the title is "beachside," it's about a 10 minute walk to the beach which cannot be seen from the hotel. Also, the Agoda location for the hotel is a little off and it could be a bit difficult to find if you're not looking carefully. A bonus is it's relatively close to Marble Mountain.